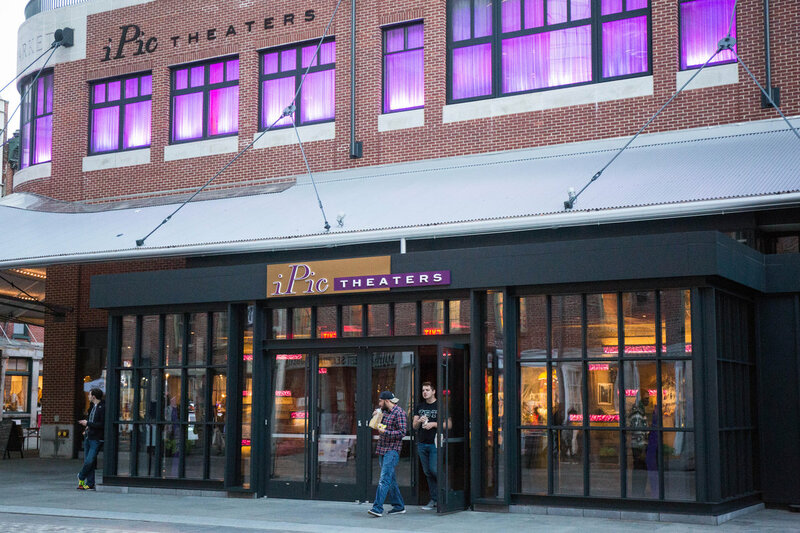 Friday’s (Oct. 8th) grand opening of the iPic Theater Complex at the South Street Seaport in NYC caught some serious attention. Luxury is nothing new to the city that never sleeps, but this theater’s finishes trump any you’ve seen before. Gothamist’s Scott Lynch went to iPic opening night to find out what people should really know about this place, and here’s what he found. You can get a Premium Plus seat at a whopping $32 per ticket. You’re seeing the same Hollywood flicks that are out in regular theaters – so why pay so much more? These uber expensive seats aren’t any more comfortable than your average theater recliner. Each pair of seats is enclosed in its own pod, so there are no aisles, but there isn’t much leg room either. It is also important to note that the concept of these pods is made for couples, so anyone going alone might expect to share with a stranger. The Premium Plus tickets also include a fuzzy blanket and airplane-style pillow, which is comfortable but not quite necessary while watching a movie at the theater. Full waiter service is another bonus of the higher-end seating. Everyone who purchases the $20 seats closer to the screen has to walk to the concession stand like in a typical theater. Other perks for the Premium Plus VIPs include booze, snacks, and dinner before or during the show. All they have to do is press the call button on their seat tray, and their waiter will show up. The problem with this system is that waiters take orders verbally, so you can expect to hear your neighbor’s jabber during the movie, as opposed to Nitehawk Cinema’s method of writing your order on a card and handing it quietly to the waiter. 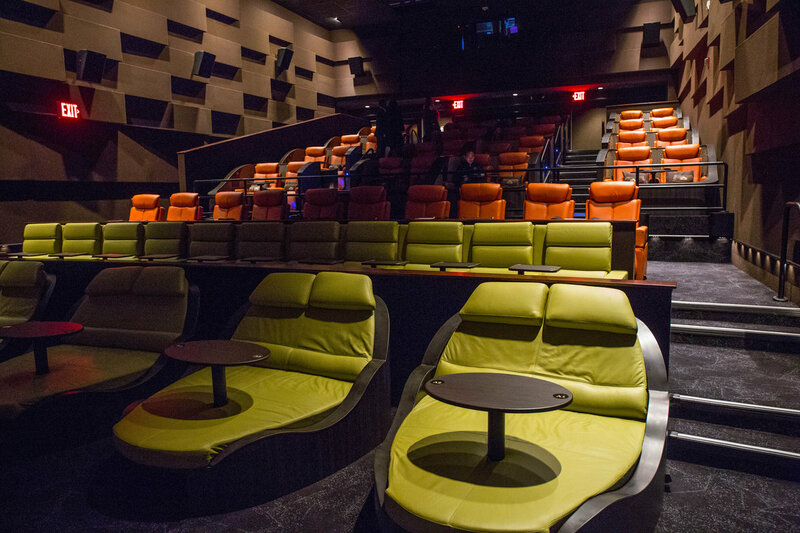 iPic Theaters has higher than average pricing for concessions. Although not entirely surprising, it costs $22 for shrimp cocktail, $16 for a basket of chicken fingers, and $18 for pizza. On top of this, the reclined seating is too far away from the seat tray for eating to be comfortable. It is awkward having to lean so far forward to eat in order to avoid spilling on your shirt. The three-story complex boasts a dramatic club-like vibe. 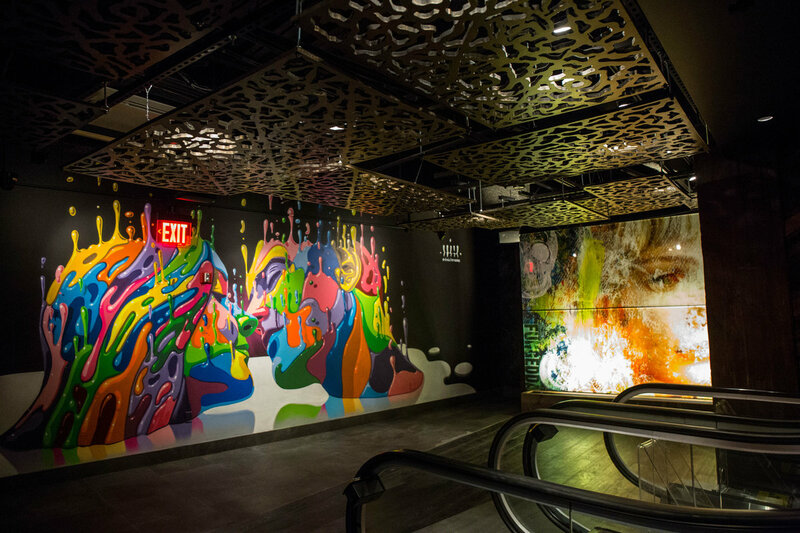 From the vibrant lighting to street artists’ murals on the walls, it feels like you are entering somewhat of a nightclub or trendy restaurant. Dance music plays in the lobby while their staff, (dressed in all black) showers you with smiles and greetings. There is also a library-themed restaurant and bar called The Tuck Room. Overall, iPic is designed to be a type of special date spot. The question then becomes, who is attending the morning showings of movies like Miss Peregrine’s Home For Peculiar Children? Once the novelty wears off, it is hard to imagine who will continue to attend this place, as it isn’t affordable. Much of movie audiences are comprised of groups of teens that likely will not pay such high prices. All of this said, we are looking forward to seeing where the future of iPic will go.